The Dollar Tree has beach and pool toys now in stock. 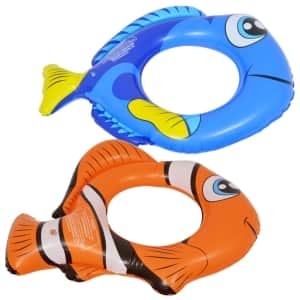 Choose from swim rings, goggles, sand pails, water wheels, pools toys and much more. There are more than 50 items. You can buy the items online but you need to buy a case.